An escape to some of Europe's most charming destinations is now viable with Delta Vacations. The official vacation provider for Delta Air Lines announced the addition of the Azores, Portugal; Bordeaux, France; Crete, Greece; and Salzburg, Austria to its portfolio. Travellers can now book vacation packages to these destinations. 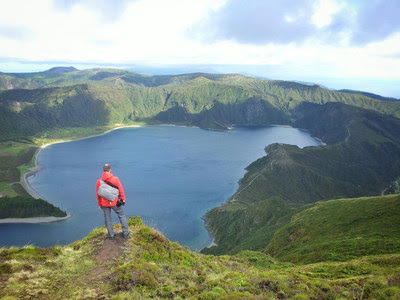 The Azores – The Azores is an enchanting destination of nine islands comprised of natural wonders and coastal formations. Travelers create their own adventure with their choice of hotels and resorts offered by Delta Vacations on Sao Miguel Island; tours such as wine tastings, whale-watching and rappelling; and seasonal flights by Delta from late May through early September. Bordeaux, France – As France's most famed wine region, oenophiles and history buffs can marvel at the neo-classical architecture and landmarks throughout the city. With accommodations ranging from serviced apartments to the five-star InterContinental Bordeaux-Le Grand Hotel, travelers will enjoy Bordeaux year-round via Delta's strategic airline partners. Crete, Greece – The largest of the Greek islands, Crete is home to four smaller regions with historical architecture, sandy beaches and designer shops. In Crete, Delta Vacations offers accommodations at luxury properties with magnificent views. Seasonal flight service through Delta's global network is available via Amsterdam from early April through late October. Salzburg, Austria – As a UNESCO World Heritage site, Salzburg'sold-world charm juxtaposed with its striking geographic features (thanks to the Alps) makes this a must-see destination in Central Europe. Though seasonal flights are available via Amsterdam from mid-December through late April, the city is also accessible from Munich or Vienna by train or car. "Europe continues to be a place of interest for many Delta Vacations customers because of its extensive cultural heritage, a variety of activities and easy accessibility," said Elizabeth Moriarty, Delta Vacations vice president, product development. "Our focus has been to add destinations to our portfolio that help our customers have the most memorable vacation experience possible."